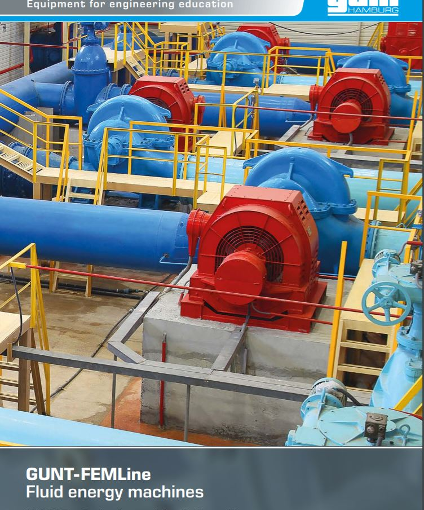 GUNT’s new FEMLine (Fluid Energy Machines) brochure is now available for download, or print. The GUNT-FEMLine equipment series was designed specifically to represent the great diversity of fluid energy machines. The series offers a variety of options to learn about and gain an in-depth understanding of this complex subject matter. To ensure a high level of practical orientation of the devices, the GUNT-FEMLine was developed with industrial components. This allows students to practice on examples from industrial applications that they will also encounter in their future workplaces.